Can Joe Biden Complete the Final Phase of President Obamas Foreign Policy in the Middle East? 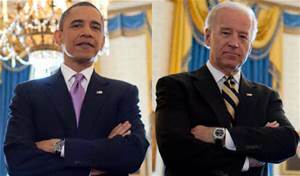 NEC-SE asks when Joe Biden enters the presidential race will he be able to complete President Obamas Foreign Policy in the Middle East as the next POTUS? Who’s in charge? Who is responsible? What are they responsible for?